Kareena Kapoor Khan knows how to turn heads on the red carpet, but the Bollywood star also knows how to work a simple street style. Recently she was spotted looking absolutely chic in a black sweatshirt and ripped white jeans. She glammed up the look with gorgeous messy tresses and a perfect red shade of lipstick. For a touch of bling, she sported a striking watch, a few bracelets and rings. The final piece for her look was a cool cross-body bag. Over the years, the star has become one of the countries biggest fashionistas. The 38-year-old's style has evolved and keeps getting better and better. She is more willing to take risks and push the envelope a little with glamours and dreamy gowns. But when it comes to street style, Kareena knows how to get that perfect balance of comfort and chic just right. The Bollywood star knows how to give us style goals whether it's with gym looks or perfect travel wear. 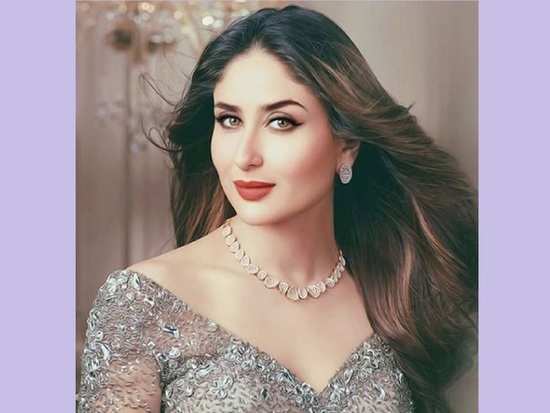 Kareena Kapoor Khan will next be seen in 'Good News'.She will be working with Akshay Kumar, Diljit Dosanjh and Kiara Advani. Kareena is also working on Karan Johar's next directorial project, 'Takht' along with Anil Kapoor, Ranveer Singh, Alia Bhatt, Vicky Kaushal, Janhvi Kapoor, and Bhumi Pednekar. 6Priyanka Chopra and Nick Jonas' latest pictures will make you want to head for a vacation! 9Will Sonam Kapoor play the leading lady opposite Akshay Kumar in 'Sooryavanshi'?